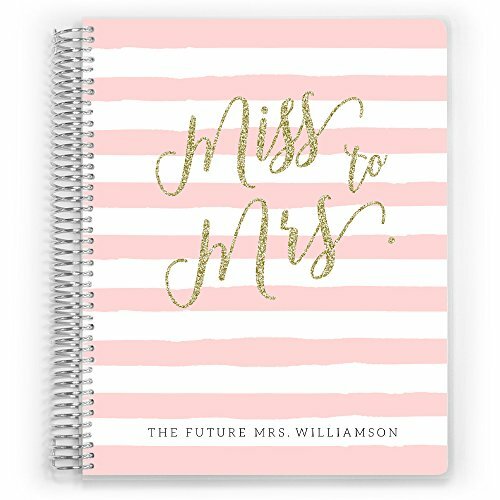 Click to choose a Size: -- Choose Size -- Large 8.5" x 11" Small 6" x 8"
Make planning your perfect wedding day a breeze! 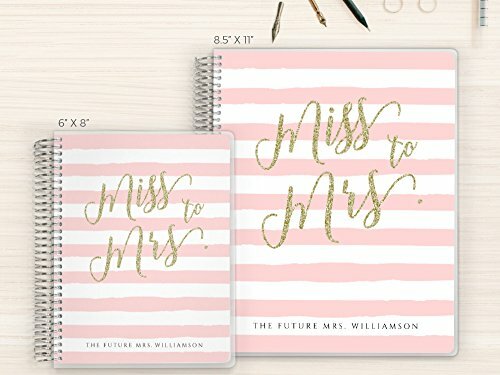 Sturdy and colorful, our Wedding planner is the perfect way to keep organized and on time! Featuring planning room for every aspect of your special day! ~Custom Cover - Add your name or date. ~Choose your color! 4 available design colors to choose from. ~Available in 2 sizes. 6" x 8" and 8" x 11". ~Traditional Bride & Groom Layout. ~ Calendar Section is 24-months, you choose the start month! ~ Budget section keeps you organized and under budget with trackers for all expenses, including payments, deposits, and plenty of note space. 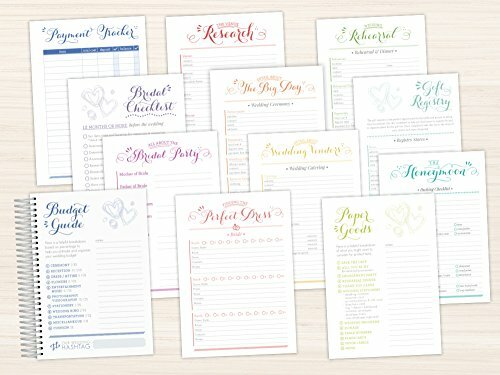 ~ Checklist section has helpful countdown checklists which include helpful tips on what to plan up to 12-months previous to the wedding date. ~ Wedding Party Attire section, with plenty of room to keep track of important details, pricing, deadlines and more for everyone in the wedding party. ~ Research section helps you pick the perfect venue, photographer and more. ~ Wedding Day section keeps you on time and on track with every detail of the big day, from schedules to an area for your personal Wedding vows. 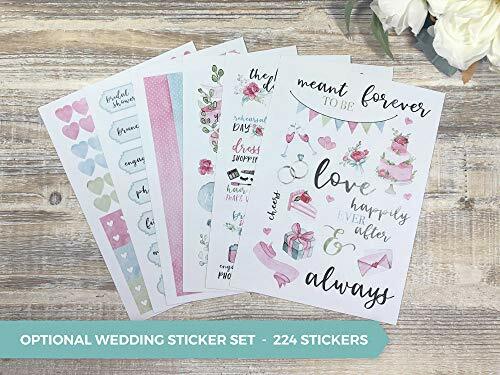 ~ Paper Goods section, keeps you on track for all stationery needs, including save the dates, rsvp, guest list, even seating chart arrangements. ~ Registry section helps you keep track of registries, as well as gifts received and helps keep track of thank you notes. ~ Honeymoon section has handy checklists on what to pack for your trip. 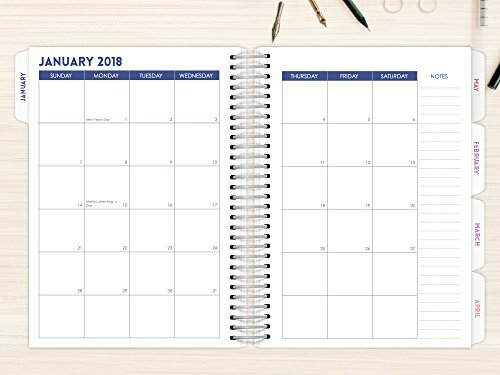 PurpleTrail planners feature full color printing in complementary soft jewel tones for pages and divider tabs, sturdy laminated tabs to separate the areas of your planner, and sturdy synthetic covers with protective frosted sheets. Every Aspect of Wedding Planning covered! Budgets, Checklists, Attire, Vendors, Guest lists, Registry and More! Premium synthetic front and back covers, with protective frosted sheets. Sturdy coil binding, lays flat. Customize cover with your name or date. Choice of 4 cover design colors. Customize calendar section by choosing your starting month. 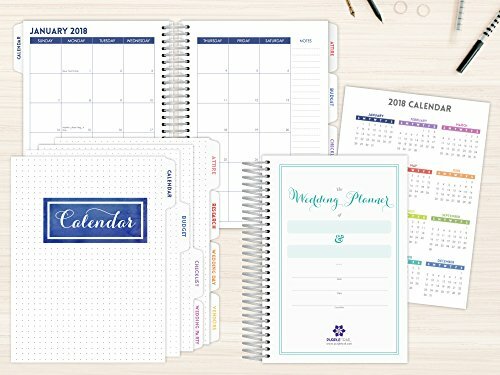 Choice of 2 planner sizes. 24 Month Calendar Section, Undated, can be used anytime.